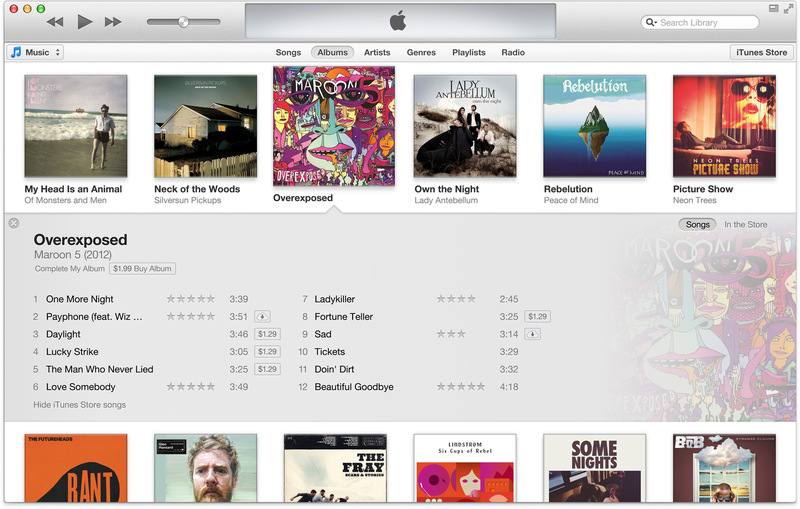 Apple has finally released its revamped iTunes application, iTunes 11, for the Mac. The new iTunes app features a completely redesigned user-interface that is cleaner and simpler to use and manage your music and video collection with. The simplified interface allows users to have a full-view experience for the different types of media and functionality within iTunes. For example, to access your Music library, users can choose “Music” from a stationary drop down menu on the left side of the player. Within music are the typical tabs for songs, albums, artists, genres, playlists, and radio. Additionally, the new interface includes a feature called “Expanded view.” This creatures allows you to click an album to quickly and simply see all of the content within an album. This saves you from having to re-search and it saves space within the player. Additionally, this view will provide iTunes Store-based recommendations for other music. The revamped experience also includes a new MiniPlayer. The MiniPlayer, while smaller than the one in the previous version of iTunes, allows you to see more information about your tracks. It also now allows users to search for other songs to play. 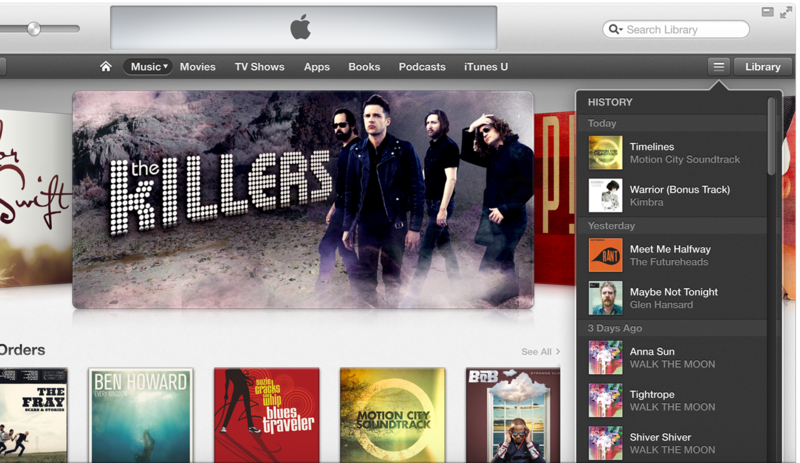 Another new feature in iTunes 11 is Up Next. 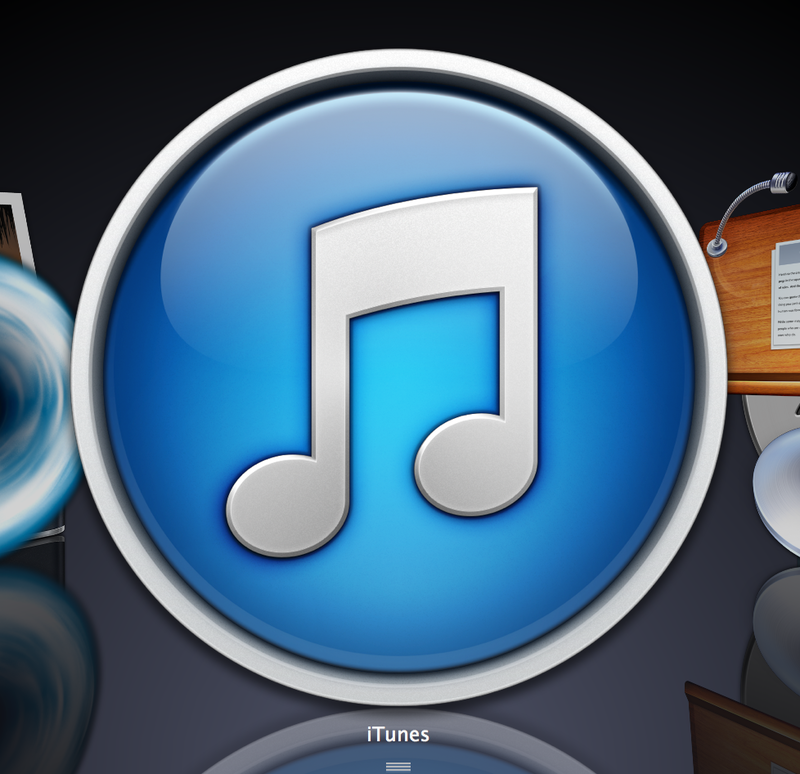 This enhancement allows iTunes users to select songs to play next. These can be queued up in a list of several tracks. In addition to a new player, the new version of iTunes includes a redesigned store interface that is similar in design to the new iTunes store found on the iPad and iPhone. A neat new feature in the new store is a history of everything you sampled in the store. It even syncs with iCloud to your other Macs and iOS devices. iCloud is also fully integrated into the new iTunes player on the Mac. Media that you have stored in iCloud will now be fully accessible via the player, not only in the iTunes Store like in previous iTunes versions. iCloud can also now remember where you left off while watching a TV show, movie, or listening to a podcast, iTunes U lesson, or audio book. If you pause one of those forms of media on one device, you can continue watching where you left off on another device. iTunes 11 is available for free from Software Update in the Mac App Store.